What To Buy The Babies Who Have Everything? As you all know by now if you read my blog regularly, I'm a Christmas fanatic. I eat, sleep and breathe Christmas and often start thinking about gifts way in advance. I like to plan my gifts out and make sure they're as thoughtful and useful as possible, but sure enough year after year I get the standard questions now as a parent 'What should I get the boys for Christmas', and although I appreciate being asked rather than receiving something they wont use, I wish there was some kind of bot that could just figure it out for them, or hey ho, maybe just figure it themselves? 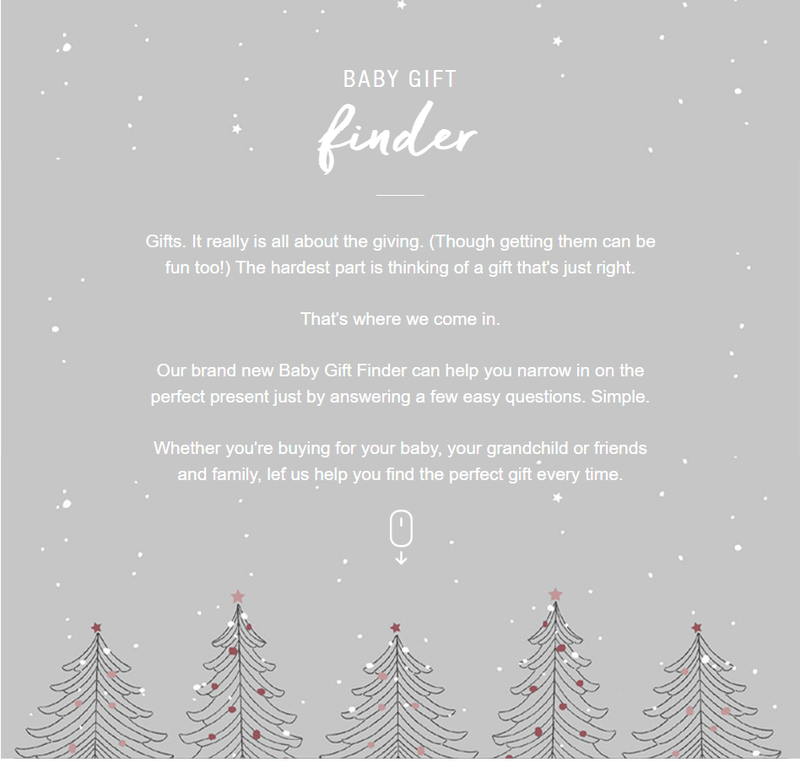 It feels like Mamas and Papas got the memo on my thoughts, because this year, they've brought out something that is right up my street, - a baby gift finder. I'm confident in saying, Mamas and Papas are a fail safe for me, I can always find something for the boys in there, and I could place money that if I need a baby gift for someone else, M&P will definitely produce some gold. I understand though, that buying for babies and children when you don't have them yourself can be pretty tough, It's difficult to know what a baby is going to need or use at 6 months, as all parents know babies develop so quickly, it would be easy to get it wrong. And the babies that have the world, what on earth to get them? 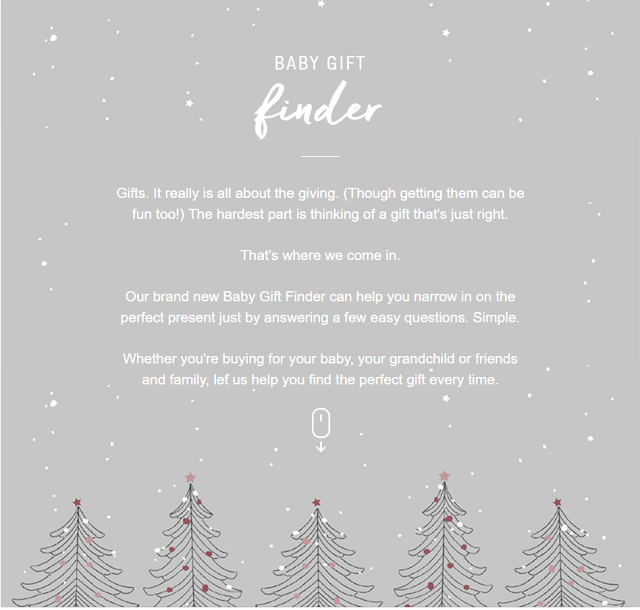 Well the baby gift finder understands all of this, and within 5 simple easy questions can dig out all the most relevant gifts for the baby on your Christmas list. I tested it out so many times, with Patrick in mind, then friends babies and each time found a gift I know they would love. I just don't see how anyone could go wrong, when something like this is so accessible. Don't think it's limited to Christmas, as there are options to find gifts for birthdays, new arrivals, christenings, you name it and Mamas and Papas Gift finder will sure find you something. When I get the inevitable questions from my brother the week before Christmas (always) I know exactly what website I'll be directing him too. Are Strong Pelvic Floor Muscles Really Important?